“Without a doubt, stencils are the fastest, easiest, and cheapest method for painting an image on a wall, a sidewalk, or almost any object anywhere. Toata prezentarea se poate vedea AICI, iar pe la minutul 37 este mentionata si Romania. Este cea mai buna prezentare care exista pana acum. “In the harsh conditions of Sao Paolo, graffiti artists are pushing street art in new and often dangerous directions. We investigate these artists work, amongst pools of filth and armies of cockroaches. 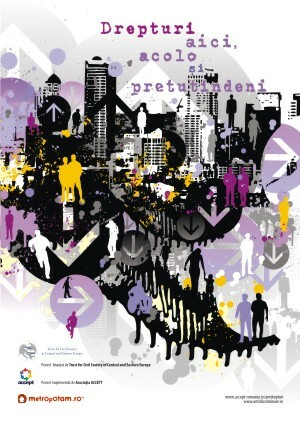 13-20 August la Cafe Verde cateva stenciluri expuse, evenimentul facand parte din proiectul Drepturi aici, acolo si pretutindeni!, proiect social despre drepturile si indatoririle cetatenesti. 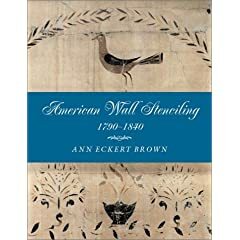 American Wall Stenciling, 1790-1840 by Ann Eckert Brown. A nice book found on Google Books.